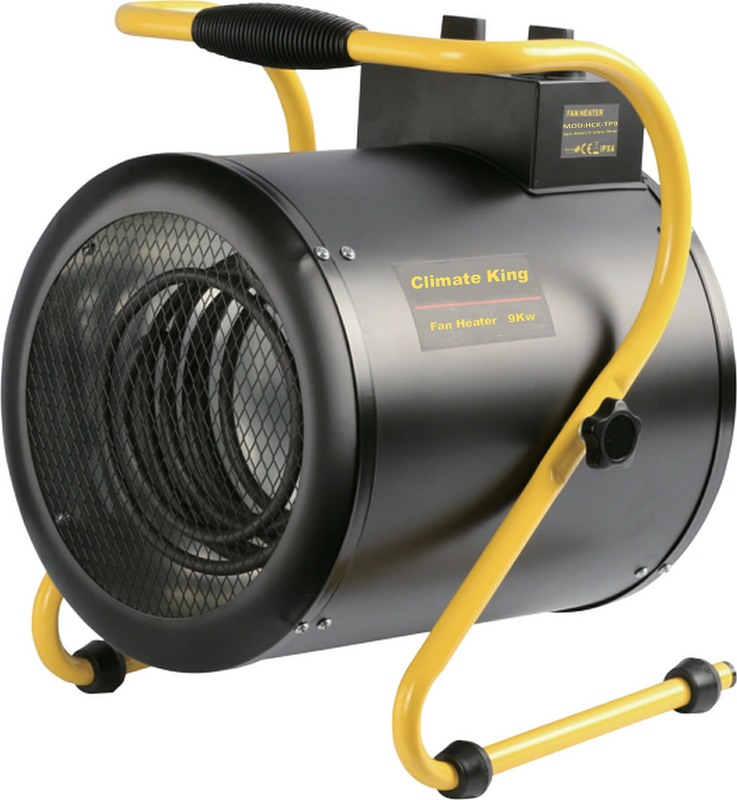 Built to last, the Climate King series of Premium Quality Fan Heaters has been subjected to rigorous testing to ensure every detail provides a superior performance. From the high efficiency stainless steel heating element and aluminium fan blade to the insulated ergonomic handle and adjustable stand, everything screams quality. The dual protection against overheating and built in thermostat provide stable power whilst its waterproof IPX4 rating means it can be used in damp conditions making it perfect for use in workshops, garages , greenhouses and building sites etcAdditional features include a rust resistant powdered casing, a time-delay feature that allows the fan to cool the machine after the heating element has been turned off and 2 heating levels plus a fan only mode. Combined with the variable thermostat and the adjustable stand, this means you can achieve the temperature you require in the place you want it.